It’s not everyday that you get to experience fine dining, so when you do get the chance, it’s nice to pick somewhere that ticks every box! 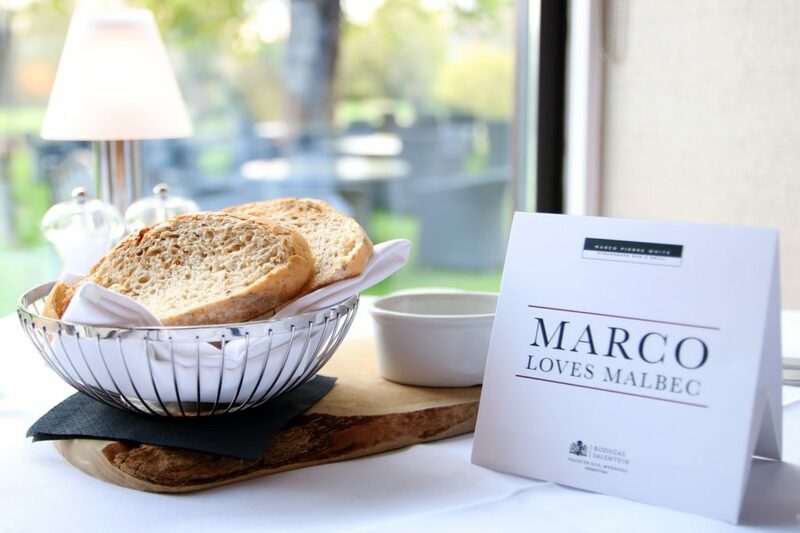 I recently visited the Marco Pierre White Steakhouse in Cambridge for a top-class dining experience. 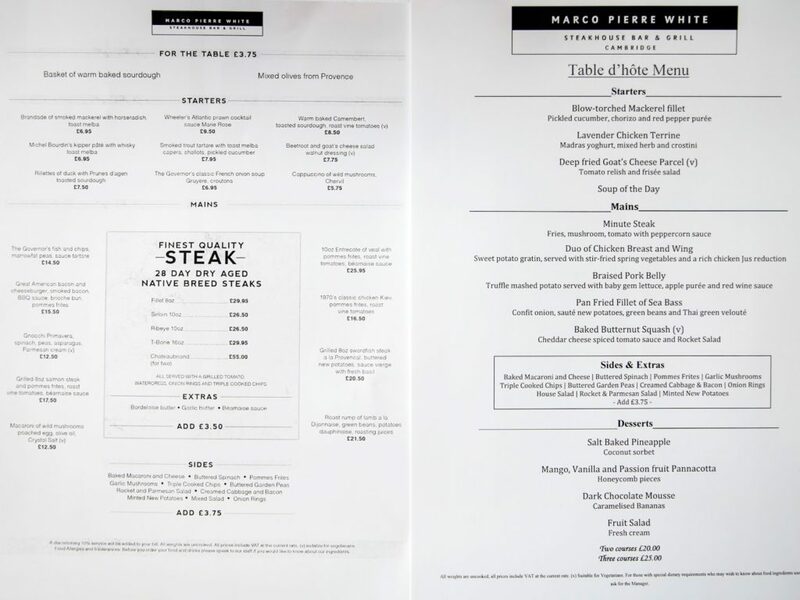 For all the foodies out there, you’re probably familiar with Marco Pierre White and may have dined at one of his chain restaurants. 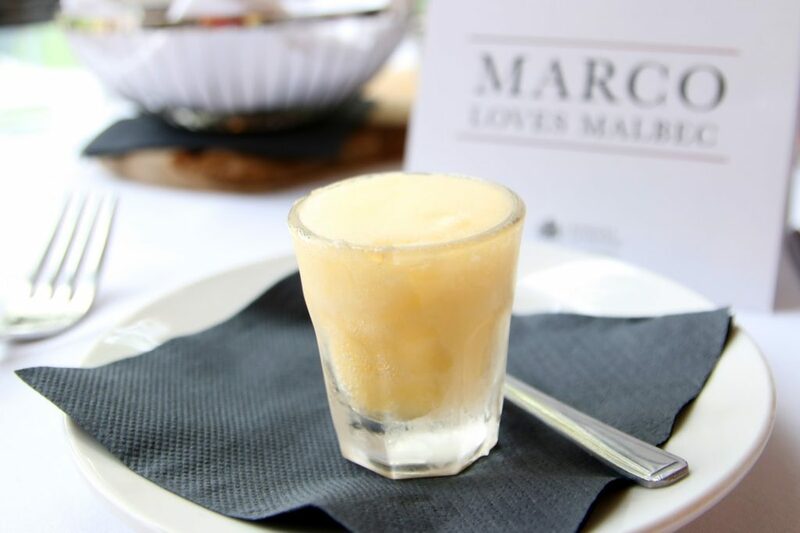 But for those who haven’t visited a restaurant owned by the celebrity chef himself, you’ll be pleased to hear that you can enjoy a meal approved by Marco at several locations in the UK. 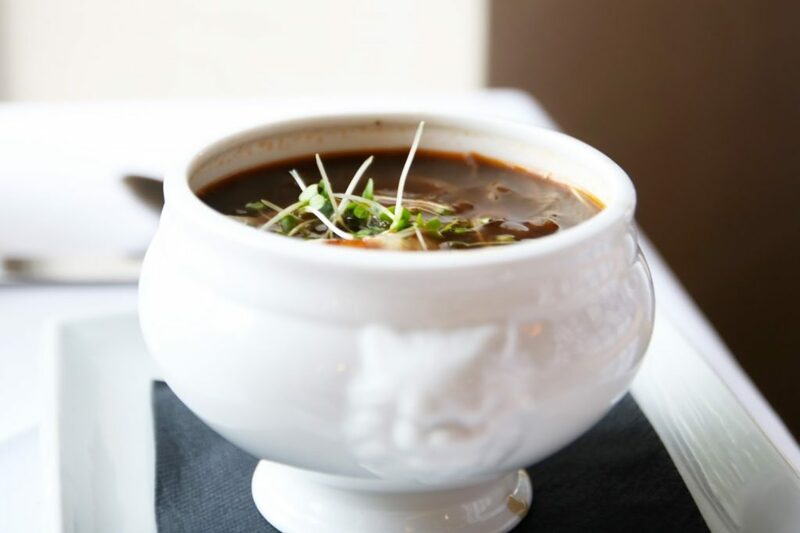 The one I visited in Cambridge falls under Steakhouse, Bar & Grill, but if you’re more adventurous you can also test out MPW Chophouse or even MPW New York Italian. Nevertheless, it all depends on the location and what’s available near you! 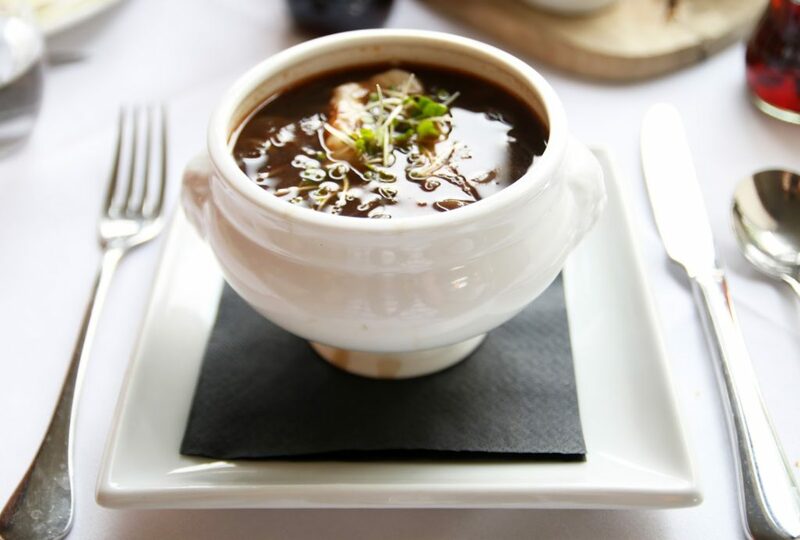 Every Marco Pierre White restaurant is different in design, but the common theme that runs through all the restaurants is the delicious and beautifully presented dishes! In fact, because the food looked so photogenic, it made my job as a photographer and food critic (for one evening) so much easier! 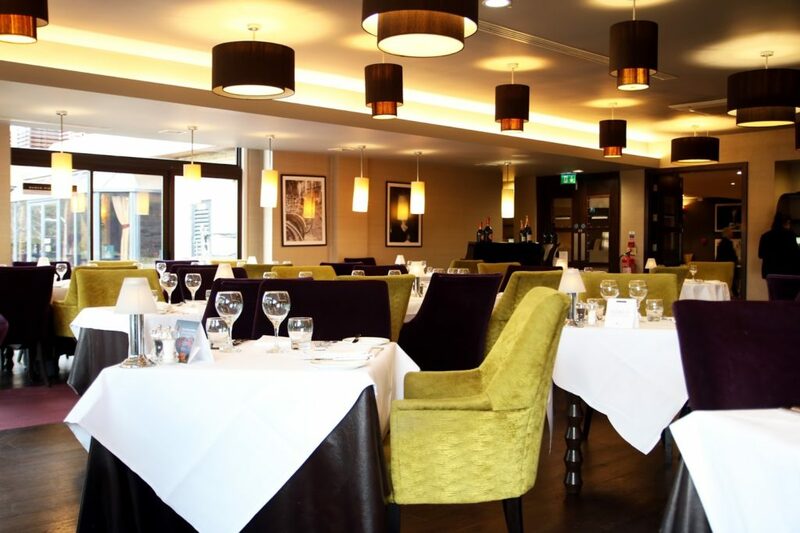 The restaurant itself is located inside Double Tree by Hilton Cambridge, next to the river. It’s definitely not a restaurant that you stumble upon whilst walking around Cambridge, but it’s one of those places you go to for a treat! As we arrived fairly early, we managed to get a seat by the window so we could enjoy the beautiful view of the river! Looking at the natural scene made me feel really relaxed after a stressful week. As for the food, we had the option of ordering from the a la carte or set menu and we ended up choosing a la carte because I was dying to try the 28 day aged steak! There are plenty of options from the menu and it caters for everyone who loves meat, fish and wine! However, please avoid if you are a vegetarian as it’s a steakhouse after all! To start with, we had some bread for the table. 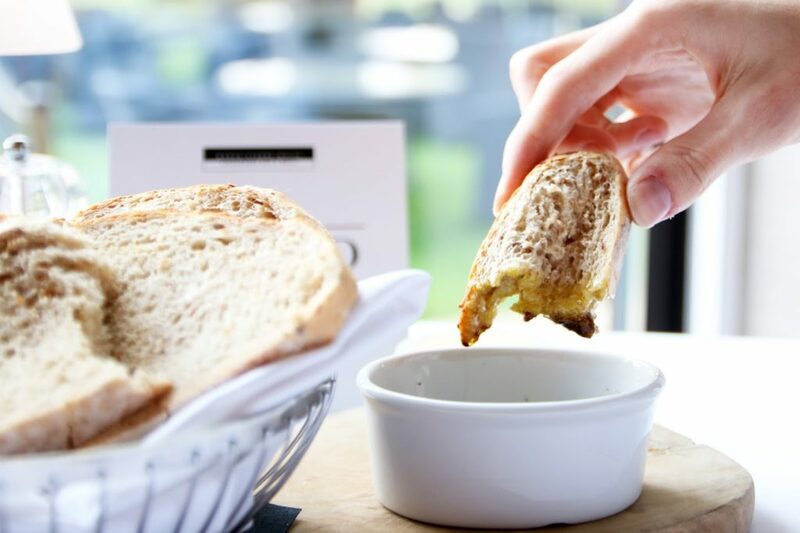 The texture of the bread was perfect as it’s got a really crispy crust and a soft springy centre. It was delicious and it really set us up for the starter! With the addition of olive oil and balsamic vinegar, we couldn’t help ourselves but finish the whole basket before the starter even arrived! 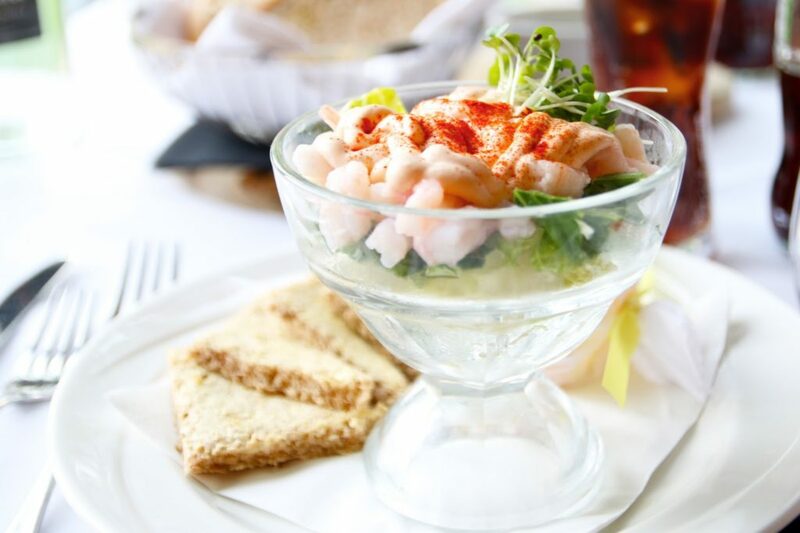 I had Wheeler’s Atlantic Prawn Cocktail for starter, which is presented in a tall glass bowl. 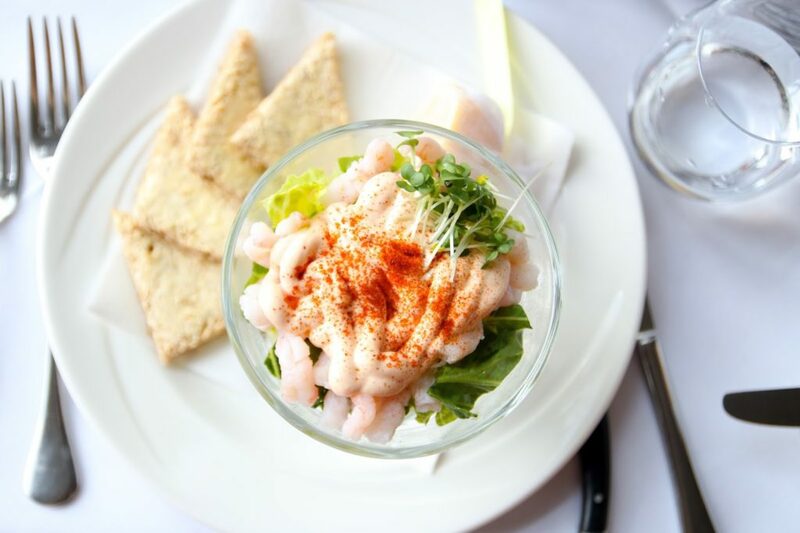 If you want something that’s healthy and light for starter, then I recommend this one because underneath the layer of prawns is a bed of crispy greens! I think this dish is well presented and looks very appetising. The Marie Sauce topped with chili powder and lemon juice gives this prawn cocktail a well rounded flavour! My date picked The Governor’s Classic French Onion Soup for starter. The soup had a very mild flavour and it was very filling. It is the perfect choice for those who likes simple dishes with a bittersweet taste! There was a lot of onions in the soup, a slice of Gruyere cheese and a couple of croutons! The soup was well cooked, but it can definitely do with more croutons! Before moving on to the main course, we were presented with a mini portion of mango sorbet to set us up for the main course! I’ve never had a sorbet between a starter and main before so this was something new to me and we were a little confused to why we were given sorbet before the mains! Nevertheless, it tasted delicious and I finished it in two gulps. 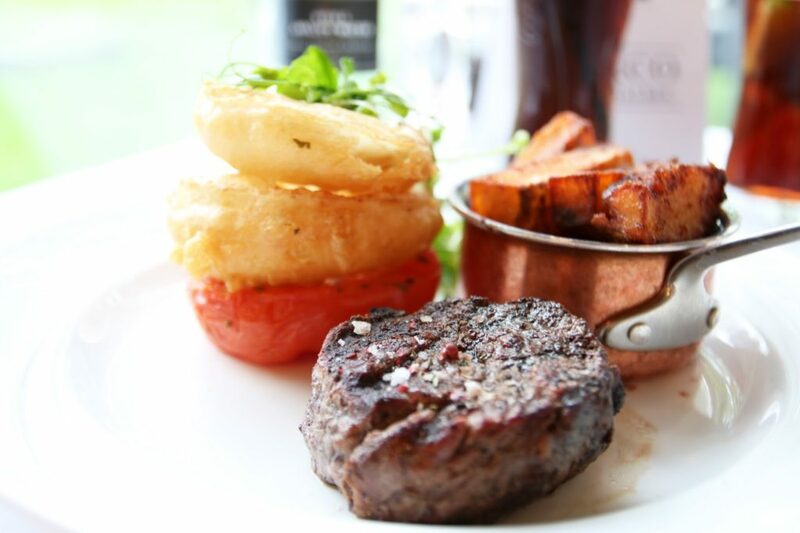 For mains, I had to choose the steak fillet as it’s one of Marco Pierre White Steakhouse’s signature dishes! 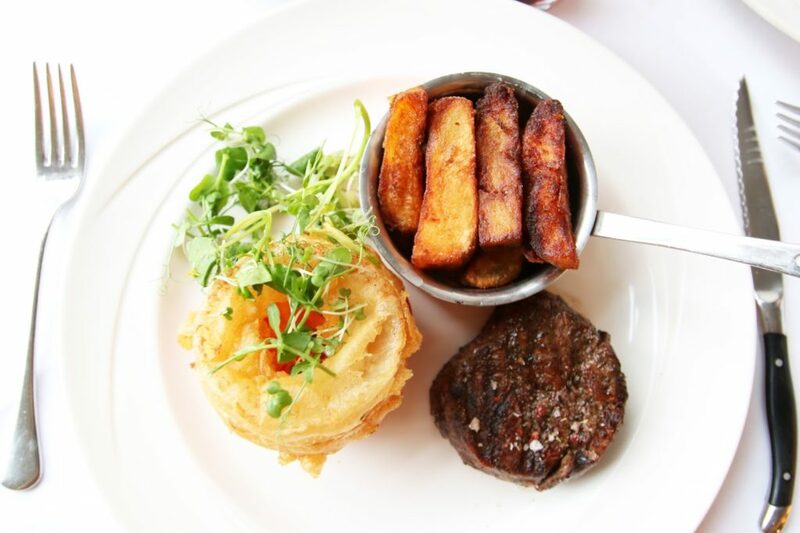 I was presented with a thick cut steak fillet served with grilled tomato, watercress, onion rings and chips. The steak was perfectly cooked with a beautiful grilled finish! In fact, the whole dish looked really colourful and had the perfect balance of red, yellow, green and brown. The 28 days age steak was really tender, juicy and easy to chew. This dish was really flavourful and there was definitely enough food on the plate to fill me up! My date’s main course was the 1970’s Classic Chicken Kiev. 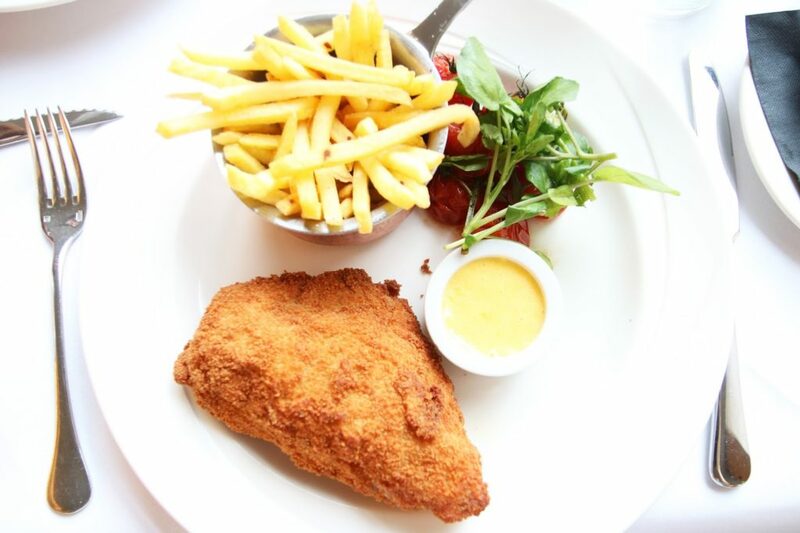 The blend of of crispy chicken Kiev and pommes frites, gave this dish a golden finish. Like the steak fillet, the colour balance of this dish is perfect. The chicken Kiev had a really tender and soft centre that melts in your month, topped with a crunchy breadcrumb finish. The portion was really good, but there could have been more of a garlic butter filling! When we finished our main courses, the restaurant was almost packed and it got really dark outside. We were also so full by then that we didn’t have any room for dessert! Besides, we had a train to catch! Nevertheless, if I do visit Cambridge again I’ll make sure to pop into Marco Pierre WhiteSteakhouse just to try their desserts! Overall I really enjoyed the dining experience at Marco Pierre White Steakhouse at Double Tree Hilton by Cambridge! The food was delicious, the service was fantastic and I also had great company!